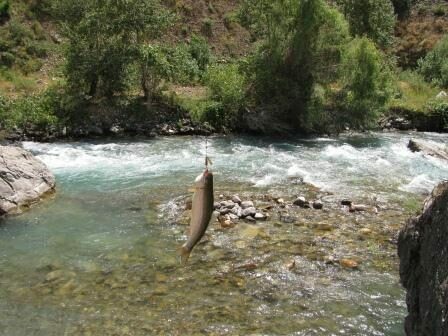 A rainbow trout fishing tour in a wilderness conditions of the protected area of Ugam-Chatkal national park. The fixed dates of the tour chosen in the best season for fishing, in accordance to the long time experience of fishing there. The anglers go with the professional team of fishing instructor, cook and camp manager. The way upstream the river to the place of fishing is 17 km long and takes about 5 hours. Partly it's horse riding and partly trekking. The horses are carrying a camping outfit, food and anglers' personal stuff. The tent camp sets up upon arrival. 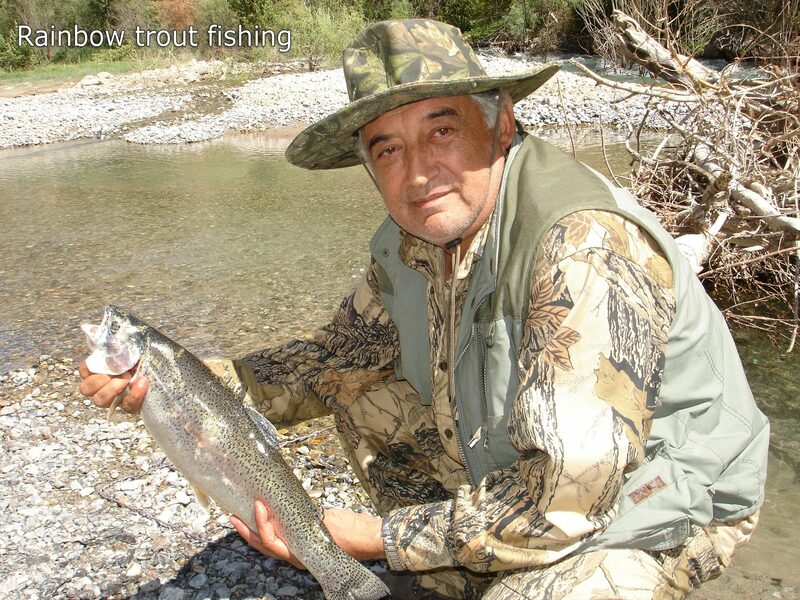 During the fishing an experienced fishing guide shows the spots and train the technic of fishing in the mountains. Trout fishing in the mountains is active, the anglers move from one spot to another and passing about 4-6 km per fishing day. 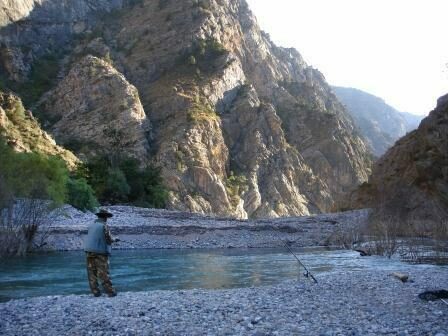 During the fishing the anglers will enjoy a beautiful mountain sceneries. Big fish (adult) is 40-50 сm long and weight about 1,5-3,0 kg. 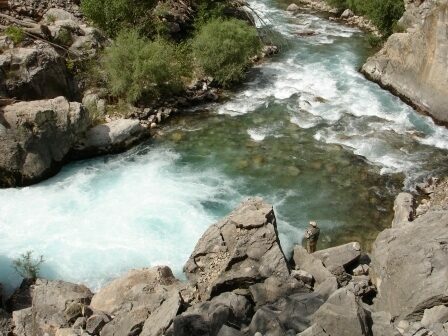 Transfer from Tashkent to the mountain village Yakkatut (106 km, 2 h, 1000 m). Upon arrival morning tea and packaging of personal stuff to the horses' bags. 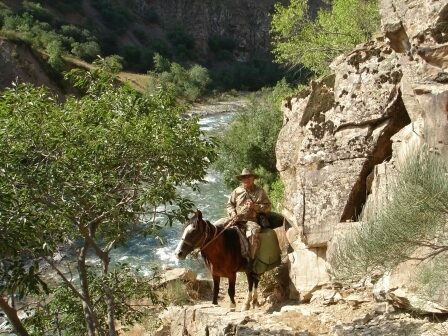 Horseback riding and trekking to the place of fishing (17 km, 5-6 h, 1390 m). Set up a tent camp. Lunch. Fishing. Dinner round the fire place. Overnight in a tent camp on the bank of the river. Breakfast in the camp. Fishing upstream the river. The fishing guide shows the places of fishing and ways of casting. Lunch cooked from caught fish. Rest time. Evening fishing. Dinner round the fire place. Overnight in the tent camp. Breakfast. Fishing with guide downstream the river. Lunch. Rest. Evening fishing. Dinner round the fire place. Overnight in the tent camp. Breakfast. Packing of the camp outfit. Back way to the mountain village Yakkatut (17 km). Transfer to Tashkent (106 km). Price depends from the quantity of tourists in a group on a fixed date. 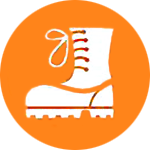 *The weight carried in horses' bags are critical, therefore the anglers have to keep the weight of personal clothing and other stuff to a maximum of 10 kg or lighter. 1. The itinerary passes through the nature conservation area where the special permit demands. The documents for permitting should be submitted minimum in 15 days before the tour.